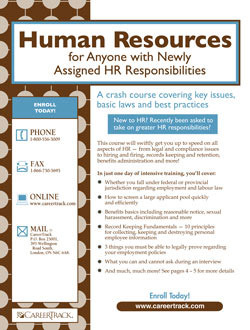 Discover the basics with essential HR training! When it comes to Human Resources, you've got to know your stuff. 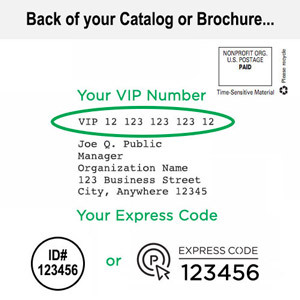 Your organization and its employees are depending on you to provide accurate information, advice and answers on everything from government regulatory issues and benefits administration to the finer points of the employee handbook. You've also got to be current on all the latest HR legal issues, be available as a knowledgeable resource for employees, be able to mediate internal conflicts and disputes and be prepared to hire and fire personnel as necessary. This information-packed seminar was designed to deliver the most information in the least amount of time. From legislation affecting discrimination and medical leave to the best practices in benefits, record keeping, hiring, and firing, this course is a comprehensive primer on all the issues you'll face as you tackle your new HR responsibilities. This program is remarkably comprehensive, packed with essential information you'll need to step into your new position with confidence. You will learn how to ensure that your company is safe and secure for employees … discover how to stay in compliance with legislative decisions handed down by the government … and find out how to protect your organization and employees from lawsuits and legal action.ation in the least amount of time. From legislation affecting discrimination and medical leave to the best practices in benefits, record keeping, hiring, and firing, this course is a comprehensive primer on all the issues you'll face as you tackle your new HR responsibilities.